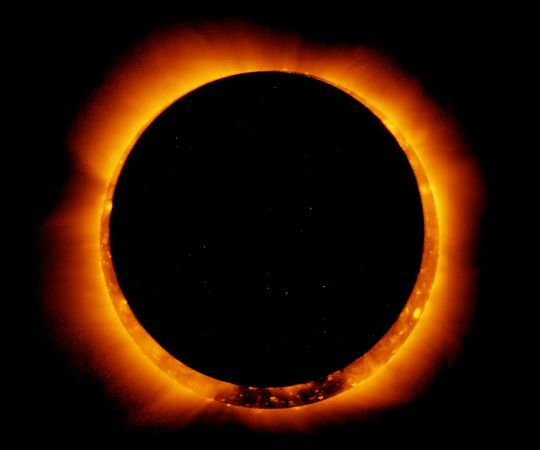 For all astronomy enthusiasts and addict skygasers out there, mark you calendars on May 20, 2012 as another eclipse will almost totally block out the sun to give us a rare view of "Ring of Fire" phenomenon, much like seen in the promotional videos and poster of Game of Thrones. The said eclipse will be visible in East Asia and the western United States. Philippines will most especially see a partial eclipse early in the morning since it is where it is gonna start, then going to Japan where the southern tip of the island will have a first taste of the "Ring of Fire," ending the grandeur on the West Coast of the State side. Solar eclipse as we all know is a rare phenomenon that happens when the moon comes in between Earth and the sun, casting a shadow on our planet. Total eclipses are those when the moon covers the entirety of the sun's face as opposed to partial eclipse, which as its name suggests, covers the sun's face partially. The upcoming event on a more specific detail is said to be an annular solar eclipse -- from Latin word "annulus," which means "little ring". According to news the peak of the eclipse will cover 94 % of the sun's light. It will last for a few hours on most parts. Also, this year there will be another eclipse on November 13, 2012. Hopefully we will have a fine weather by then so than we could experience antoher prophetic event that emphasizes the Mayan apocalyptic prophecies and all. LOL. Don't mind this last piece of information. It's just for fun.